Buttercup: "You mock my pain." Man in Black: "Life is pain, Highness. Anyone who says differently is selling something." The Man in Black was right. Life is pain. Life is messy. Life is full of jarring bumps and stinging scrapes and falling down and getting up again. Anyone who says differently, including Christians, is selling something. The Christian life is sometimes passed off in well-meaning witness as the perfect life. In our zeal to bring others to know Christ, we Christians occasionally give the false impression that a relationship with Jesus means the days of pain and problems will be over. Not so. That's not what God promised us. Life is messy, and even for Christians it's pretty ugly sometimes. But the really cool thing is God blesses messes. God works through messes. God converts messes. God raises up righteousness out of messes, out of pain, out of heart-ache and tears. He teaches us, he makes us stronger and wiser and sometimes even more joy-filled despite messes that cling to our lives. My favorite passage of Scripture is Psalm 40 which starts out with these verses, "I waited patiently for the LORD; he inclined to me and heard my cry. He drew me up from the pit of destruction, out of the miry bog, and set my feet upon a rock, making my steps secure. He put a new song in my mouth, a song of praise to our God. Many will see and fear, and put their trust in the LORD." He started me on a walk in this life that I didn't anticipate. He filled my life with adventures, surprises, and blessing. He gave me reasons to hope, even during hard times. He gave me a home, a loving husband, wonderful children and grand children, jobs when I've needed them, desires to pursue, friendships, and health. I was living a life of blurred lines, in misty gray places, wallowing in the seeming mysteries of existence and never understanding how things could possibly ever work out. Even as a believer, I still have those days when I can't see through the fog of uncertainties. He never has been nor is He confused by the things that confound me. He doesn't berate me for my misunderstanding. He has been patient with my missteps. He continues to supply Grace through my bewilderment. I came empty-handed, my life un-honed. I made lousy decisions filled with pride, based on selfishness. Sometimes I still do. My spirit was prone to wounds and failings. Eventually I knew I couldn't do anything good on my own. Now and then I'm reminded still. Yes, life is full of pain, indecision, strife, sorrow, and upheaval, but in every instance when I yield that brokenness to Him, he lifts my feet out of the miry clay, sets them upon a rock, and establishes my goings once again. that I harbor down deep in my heart. and my castles all crumbled, my fortune turned to loss. Disaster may haunt us. Pain will tail us through this life. But Jesus can turn even the worst mess into a thing of beauty when we offer him our brokenness. He's still doing that for me. Naomi writes from the pristine north woods of Wisconsin where she and husband Jeff live as epically as God allows on a ramshackle farm near their five young adults and three grand-children. Amidst it, she writes about imperfect people who are finding hope and faith to overcome their struggles, because she believes God delights in turning lives around. 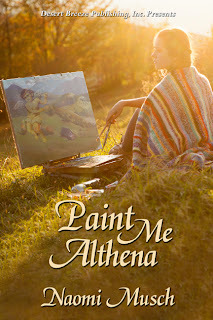 Her most recent title Paint Me Althena is a work of contemporary women's fiction, and she is the author of the romantic historical series Empire in Pine. 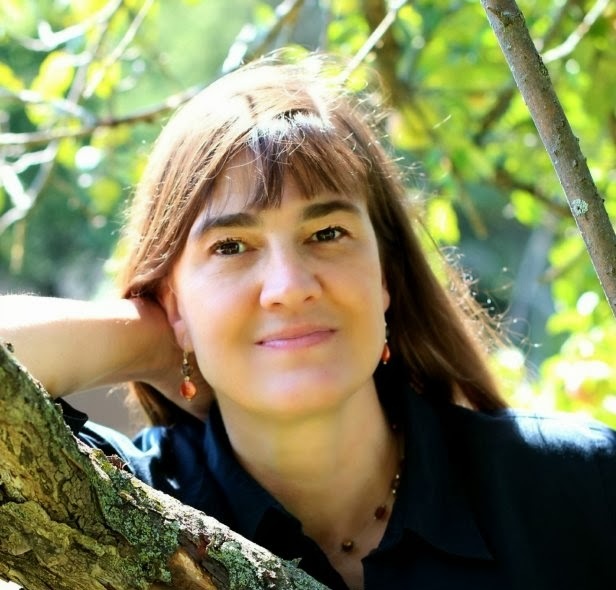 She invites readers to say hello and find out more about her stories, passions, and other writing venues at http://www.naomimusch.com or to look her up on Facebook (Naomi Musch - Author) Twitter (NMusch) and Goodreads.